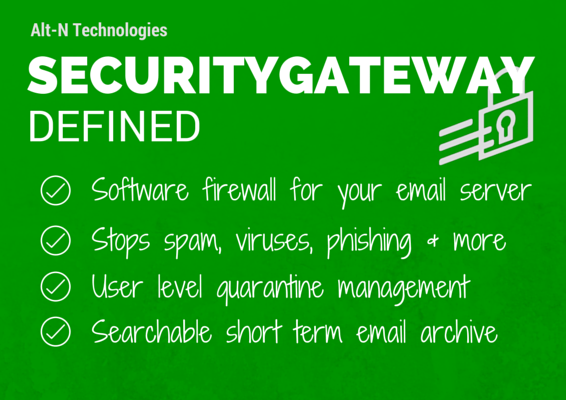 If you currently use an on-premise mail server such as Exchange or MDaemon Messaging Server, SecurityGateway is a fantastic way to protect your business against the many email-based threats in circulation. 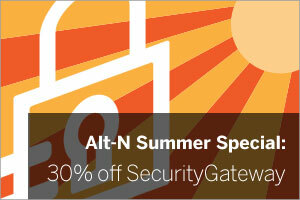 This summer, developer Alt-N technologies have announced they’ll be offering 30% off the cost of all NEW licences, which means SecurityGateway is currently £70.00 + VAT for 5 users! Your discount will be applied automatically, simply visit the pricing page, choose the licence size that best fits and you’ll notice the discount reflected in your basket immediately. You’ll find an overview video, brochure and a free 30-day trial available at the links below. If you download the trial, please feel free to give us a call as it’s fully supported by our friendly technical team.